An earthquake measuring 6.6 MW on the moment magnitude scale struck Iburi Subprefecture in southern Hokkaido, Japan, on 6 September 2018 at 3:08 a.m. Japan Standard Time. 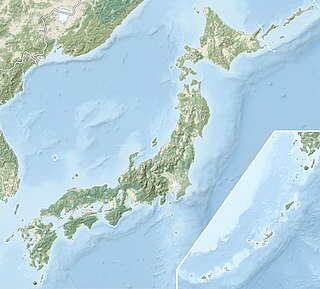 The earthquake's epicenter was near Tomakomai and occurred at a depth of 35.0 kilometres (21.7 mi). The Japan Meteorological Agency (JMA) registered a magnitude of 6.7 Mj and a maximum intensity of 7 on the shindo scale. Shaking from the earthquake was felt strongly in Hokkaido and Aomori Prefecture, and shaking was felt as far away as the Kantō region. The earthquake disrupted electrical service throughout Hokkaido, leaving 5.3 million residents without power. Forty-one people were confirmed dead and six hundred and ninety-one were injured. The event is officially known as Heisei san-jū-nen Hokkaidō Iburi tōbu jishin(平成30年北海道胆振東部地震, "Hokkaido Eastern Iburi Earthquake of Heisei 30"). Iburi Subprefecture is a subprefecture of Hokkaido Prefecture, Japan. Urakawa is a town located in Hidaka Subprefecture, Hokkaido, Japan. The Hokkaido Electric Power Company, or Hokuden (ほくでん) for short, is the monopoly electric company of Hokkaidō, Japan. It is also known as Dōden and HEPCO. The company is traded on the Tokyo Stock Exchange, Osaka Securities Exchange, and Sapporo Securities Exchange. Atsuma is a town located in Iburi Subprefecture, Hokkaido, Japan. New Chitose Airport is an international airport located 2.7 NM south-southeast of Chitose and Tomakomai, Hokkaidō, Japan, serving the Sapporo metropolitan area. By land area, it is the largest airport in Hokkaidō. The Chūetsu earthquakes occurred in Niigata Prefecture, Japan, at 17:56 local time on Saturday, October 23, 2004. The Japan Meteorological Agency (JMA) named it the "Heisei 16 Niigata Prefecture Chuetsu Earthquake". Niigata Prefecture is located in the Hokuriku region of Honshu, the largest island of Japan. The initial earthquake had a magnitude of 6.6 and caused noticeable shaking across almost half of Honshu, including parts of the Tōhoku, Hokuriku, Chūbu, and Kantō regions. The Hidaka Main Line is a railway line in Hokkaido, Japan, operated by Hokkaido Railway Company, between Tomakomai Station in Tomakomai and Samani Station in Samani, running along the coast of Hidaka Subprefecture. Services on the 116 km section of the line beyond Mukawa Station have been suspended indefinitely since January 2015 due to storm damage. Kitaca is a rechargeable contactless smart card ticketing system for public transport in Sapporo, Japan. Hokkaidō Railway Company introduced the system from October 25 2008. Its name means "the card of north", while 北 is also the first character of Hokkaidō (北海道). Like other electronic fare collection systems in Japan, the card uses RFID technology developed by Sony corporation known as FeliCa. The card has an official mascot of Ezo momonga, a kind of flying squirrel found in Hokkaidō. The mascot is designed by Sora, an illustrator who lives in Sapporo. The ANA Open is a Japan Golf Tour event. ANA is an acronym for All Nippon Airways, the tournament's sponsor. First played in 1973, it is usually held in September each year. The host venues are the Sapporo golf club Wattsu and Yuni courses. The tournament record is 268 (−20), set by Masashi Ozaki in 1994. He currently also holds the all-time record of wins at this tournament with seven. 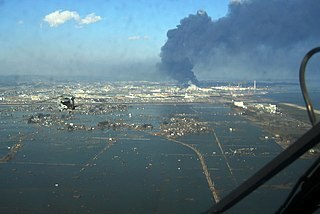 On June 14, the 2008 Iwate earthquake struck the Tōhoku region of northeastern Honshū in Japan. Japan Meteorological Agency (JMA) officially named this earthquake the Iwate–Miyagi Nairiku earthquake in 2008. In Japan, an Earthquake Early Warning (EEW) is a warning issued when an earthquake is detected. The warnings are primarily issued by the Japan Meteorological Agency (JMA), with guidance on how to react to them. Hokkaidō 5th district is a constituency of the House of Representatives in the Diet of Japan. It consists of Atsubetsu ward in Hokkaido's city of Sapporo and Ishikari Subprefecture without Sapporo. As of 2009, 453,752 eligible voters were registered in the district. The 2011 earthquake off the Pacific coast of Tōhoku was a magnitude 9.0–9.1 (Mw) undersea megathrust earthquake off the coast of Japan that occurred at 14:46 JST on Friday 11 March 2011, with the epicentre approximately 70 kilometres (43 mi) east of the Oshika Peninsula of Tōhoku and the hypocenter at an underwater depth of approximately 29 km (18 mi). 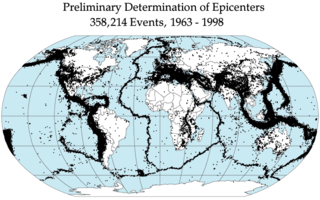 The earthquake is often referred to in Japan as the Great East Japan Earthquake and is also known as the 2011 Tōhoku earthquake, the Great Sendai Earthquake, the Great Tōhoku Earthquake, and the 3.11 earthquake. The 2018 Japan Golf Tour season was played from 18 January to 2 December. The season consisted of 25 official money events, mostly in Japan, as well as the four majors. One event was played in Singapore, and one in Myanmar, both co-sanctioned by the Asian Tour. On 18 June 2018, around 7:58 a.m. Japan Standard Time, an earthquake measuring 5.5 Mw on the moment magnitude scale struck in northern Osaka Prefecture, Japan. The earthquake's epicenter was near Takatsuki and occurred at a depth of 13.2 kilometres (8.2 mi). The Japan Meteorological Agency registered a magnitude of 6.1 Mj and an intensity of lower 6 on the shindo scale. The Hidaka Expressway is a partially tolled expressway in Iburi Subprefecture and Hidaka Subprefecture, Hokkaido, Japan. The expressway connects Hidaka to the Hokkaido Expressway. It is owned and operated by partially by the East Nippon Expressway Company and the Ministry of Land, Infrastructure, Transport and Tourism (MLIT). It is signed as an auxiliary route of National Route 235 as well as E63 under their "2016 Proposal for Realization of Expressway Numbering. The Sendai-Hokubu Road is a toll road in Miyagi Prefecture, Japan. It is owned and operated by the East Nippon Expressway Company. Along with the Sanriku Expressway, Sendai-Tōbu Road, Sendai-Nanbu Road, and Tōhoku Expressway it forms a ring road around the city, Sendai, known as the "Gurutto Sendai". The route is signed E6 under Ministry of Land, Infrastructure, Transport and Tourism's "2016 Proposal for Realization of Expressway Numbering." ↑ "平成 30 年北海道胆振東部地震の評価" (PDF) (in Japanese). Earthquake Research Promotion Headquarters Earthquake Investigation Committee. Retrieved 7 September 2018. ↑ "Earthquake Information (Earthquake and Seismic Intensity Information) Issued at 21:26 JST 21 Feb 2019". Japan Meteorological Agency. 21 February 2019. Retrieved 22 February 2019. 1 2 3 平成30年北海道胆振東部地震による被害及び消防機関等の対応状況(第31報) (PDF) (in Japanese). Fire and Disaster Management Agency. 5 October 2018. Retrieved 3 December 2018. ↑ "M 6.6 – 27km E of Tomakomai, Japan". United States Geological Survey . Retrieved 6 September 2018. ↑ "M 6.6 – 27km E of Tomakomai, Japan: Did You Feel It?". United States Geological Survey . Retrieved 6 September 2018. ↑ "震度データベース検索 （地震別検索結果）" [Seismic intensity database search (search results by earthquake)] (in Japanese). Japan Meteorological Agency . Retrieved 3 December 2018. ↑ "The Earthquake off Urakawa (M 7.1), March 21, 1982" (PDF) (in Japanese). Hokkaido University . Retrieved 3 December 2018. ↑ Normile, Dennis (11 September 2018). "Slippery volcanic soils blamed for deadly landslides during Hokkaido earthquake" . Retrieved 3 December 2018. ↑ "No major damage reported after magnitude 5.8 earthquake hits Hokkaido's Iburi region". The Japan Times . 21 February 2019. Retrieved 22 February 2019. ↑ "Hokkaido assesses damage from M5.8 quake- News - NHK WORLD - English". NHK WORLD. Retrieved 22 February 2019. 1 2 3 "Damage from deadly Hokkaido quake estimated at over 367.5 billion yen". Mainichi Shimbun . 4 October 2018. Retrieved 21 December 2018. ↑ "設備および停電等の状況について". Hokkaido Electric Power Company. ↑ "記者会見発言要旨（9月6日16時現在" (PDF). Hokkaido Electric Power Company. ↑ "設備および停電等の状況について（9月7日3時現在）" (PDF). Hokkaido Electric Power Company. ↑ "設備および停電等の状況について（9月7日9時現在）" (PDF). Hokkaido Electric Power Company. ↑ "設備および停電等の状況について（9月7日12時現在）" (PDF). Hokkaido Electric Power Company. ↑ "設備および停電等の状況について". Hokkaido Electric Power Company. Archived from the original on 7 September 2018. 1 2 "Hokkaido quake: Landslides bury homes, power cut to millions". The Asahi Shimbun . Retrieved 6 September 2018. ↑ "Quake paralyzes public transport in Hokkaido". NHK World-Japan . Retrieved 6 September 2018. ↑ "ライフラインの状況（9月6日18:30時点）". Prime Minister's Official Residence (Japan) . Retrieved 6 September 2018. ↑ "Breaking News at 11:00". NHK World-Japan . Retrieved 7 September 2018. ↑ "住宅倒壊などの情報 北海道 厚真町". NHK . Retrieved 6 September 2018. ↑ "北海道管内で地震による通行止めを実施しています" [We are carrying out a road closure due to an earthquake within Hokkaido]. East Nippon Expressway Company. 6 September 2018. Archived from the original on 6 September 2018. Retrieved 3 December 2018. ↑ "Farmers, fishers struggling after Hokkaido quake". NHK World-Japan . Retrieved 7 September 2018. ↑ "厚真町は震度７　北海道内で史上初の観測　気象庁". Asahi Shimbun (in Japanese). Retrieved 7 September 2018. ↑ 北海道胆振地方中東部を震源とする地震について (in Japanese). 日本首相官邸. 6 September 2018. Archived from the original on 6 September 2018. Retrieved 6 September 2018. ↑ Staff, Our Foreign (6 September 2018). "Hokkaido earthquake: Eight dead as landslides and power outages hit northern Japan". The Telegraph. The Daily Telegraph . Retrieved 6 September 2018. ↑ Kaori Kaneko, Chang-Ran Kim. "Powerful quake paralyses Hokkaido in latest disaster to hit Japan". Reuters . Retrieved 6 September 2018. ↑ "Japan PM Abe visits quake-hit Hokkaido as death toll rises to 42". South China Morning Post. 9 September 2018. Retrieved 3 December 2018. ↑ "Japan vs. Chile cancelled after earthquake hits Sapporo". ESPN. 6 September 2018. Retrieved 6 September 2018. ↑ "新幹線運休、青森からフェリーで対岸へ". Mainichi Shimbun . Retrieved 6 September 2018. ↑ "東京消防庁 救助の専門部隊 北海道に派遣". NHK. Archived from the original on 6 September 2018. Retrieved 7 September 2018. ↑ Martinez, Phillip (6 September 2018). "Nintendo Direct Postponed due to Hokkaido Earthquake". Newsweek . Retrieved 6 September 2018. ↑ "The Earthquake in Hokkaido, Japan Crisis Response" . Retrieved 6 September 2018. ↑ "天皇皇后両陛下 北海道地震の被災者をお見舞い 厚真町" [The Emperor and Empress visit the victims of the Hokkaido Earthquake in Atsuma]. NHK. 15 November 2018. Archived from the original on 19 November 2018. Retrieved 9 December 2018. Wikimedia Commons has media related to 2018 Hokkaido Eastern Iburi earthquake .